Office Space - Avignon, Vaucluse. 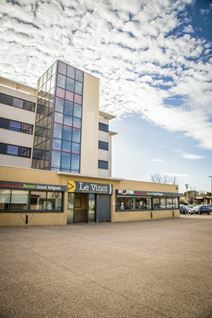 The building is located on the ring road south of Avignon TGV station that connects the two motorway exits. Located on the top two floors of this four-storey building, this business centre provides 13 offices ranging from 6-28m² along with three meeting rooms of various sizes and an outside terrace. They also offer a beverage service, or bookings for meal trays. This business centre is a member of a network and will thus facilitate business trips in 20 French cities.